Encompassing one of the three pillars of LBSA, Community Service has an important impact for our members and our neighboring communities. Made from different remarkable members, the LBSA family exemplifies how community service and along with our two other pillars, academics and social, represents a well rounded student leading to their own professional growth they will obtain. It illustrates how one’s life should also consist of giving and helping back to those in order to view the world we live in, in different manners. Saturday 1/19, we volunteered at the Second Harvest Food Bank for the second time this school year to help package donated food items in their distribution center. All the packaged goods were distributed to families and individuals in need in Orange County in an effort to stop hunger and create a future in which no one goes hungry. Ever. Saturday 12/8 we participated in the Raise Foundation Adopt-A-Family Holiday Project. There we organized gifts for families in need throughout the City of Orange. 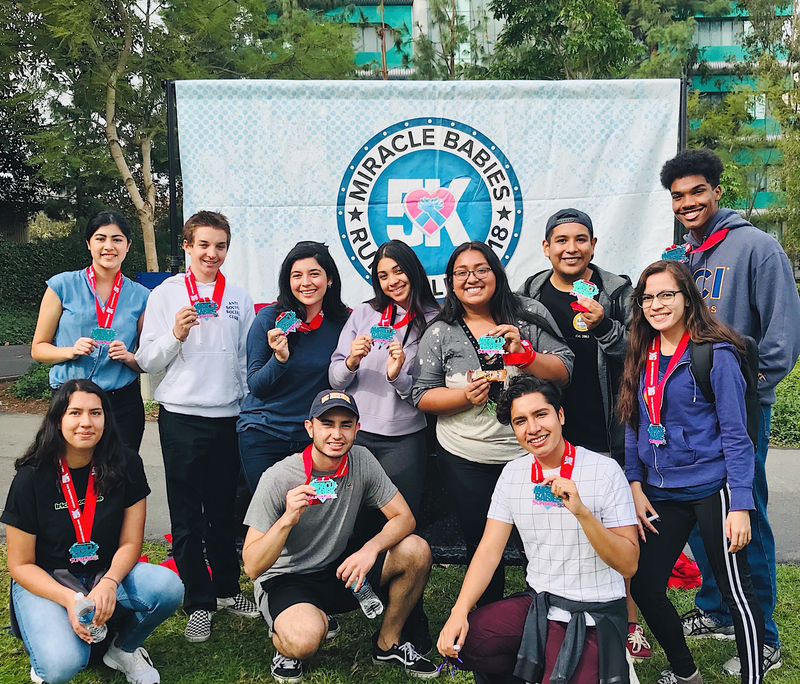 Miracle Babies’s founding purpose is to support these NICU (Neonatal Intensive Care Unit) families by providing needs-based financial assistance to low-income families through our Family Assistance Program. By helping to address some of the financial barriers that keep parents away from their new baby (transportation, groceries, and child care costs), we help moms and dads get to and from the NICU more often, increasing rates of breastfeeding and Kangaroo Care, a skin-to-skin practice. Here are some of our members that participated in the event!